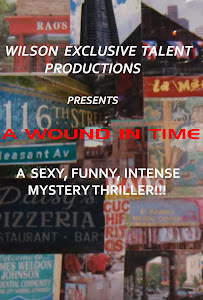 A WOUND IN TIME: CREOLE DINNER THEATRE EVENT CLICK TO GET YOUR TIX! CREOLE DINNER THEATRE EVENT CLICK TO GET YOUR TIX! Those spicy Creoles are back to share that delicious historical drama loved by all during their run Off Off Broadway. This time bigger and better, and with the assistance of CULTUREfix, they add Creole cuisine to the mix and lots of fun! Mark your calendars for July 21, 2013 for a treat. Remember to reserve tickets must be purchased by July 7, 2013.